Those early experiences shaped Smith, and made her the community organizer she is today. 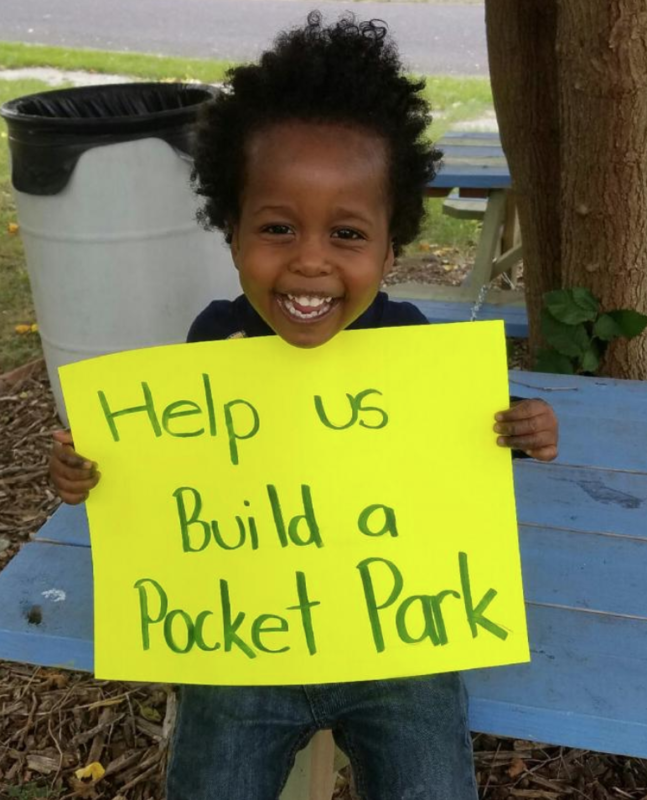 Next – and this is the project Smith is raising money for with ioby right now – she joined forces with a Bagley resident named Joe Marra, who for a while had been dreaming of creating Bagley’s first park. 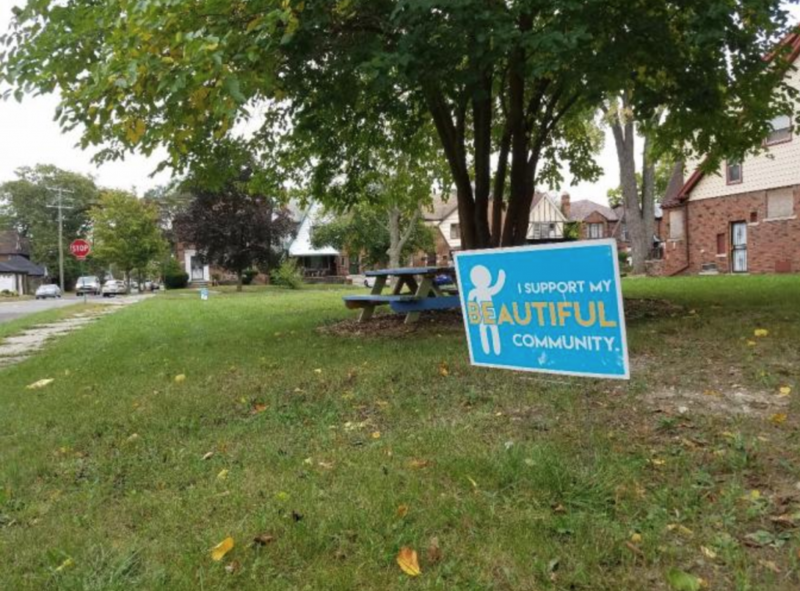 Together with some neighbors, they set off exploring partnerships with existing local nonprofits, learned a ton, and wound up creating their very own nonprofit. 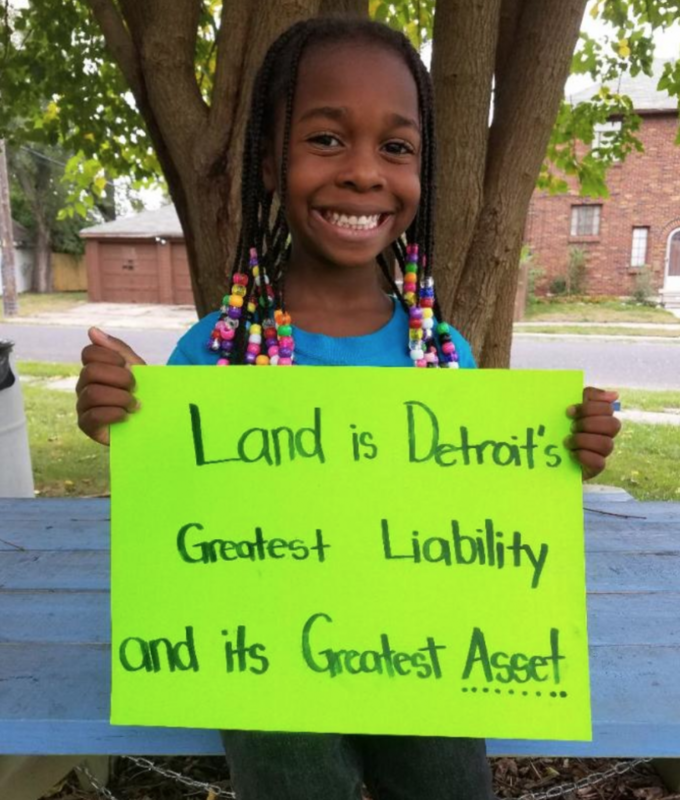 Creating Space Detroit became official this past summer, and Smith and Marra are working with the Land Bank on finalizing their purchase of a nice green, unused plot in town. By next spring, they hope to have the area outfitted with tables and chairs. A mini library has already been donated and installed. 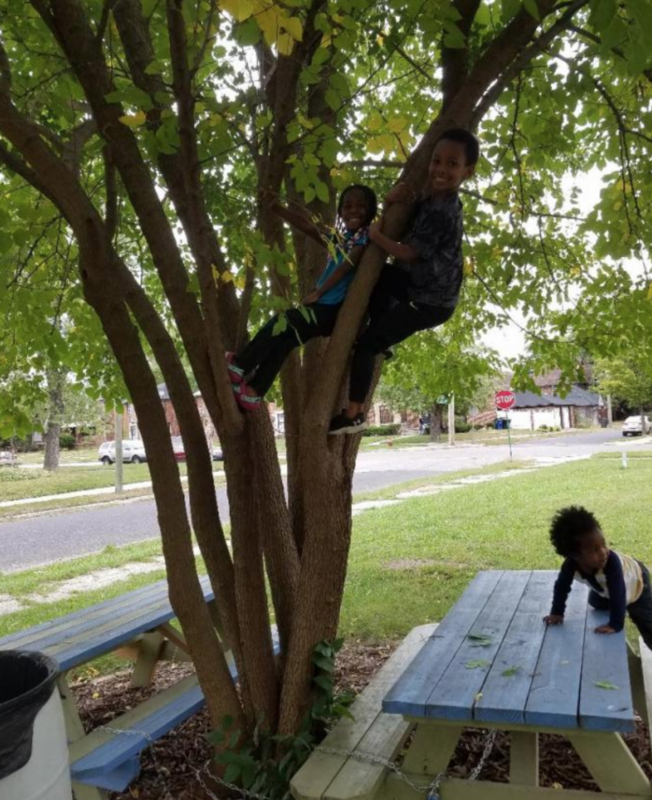 Smith’s three children are already attached to the park’s single tree, and get excited to visit and climb it as often as they can.